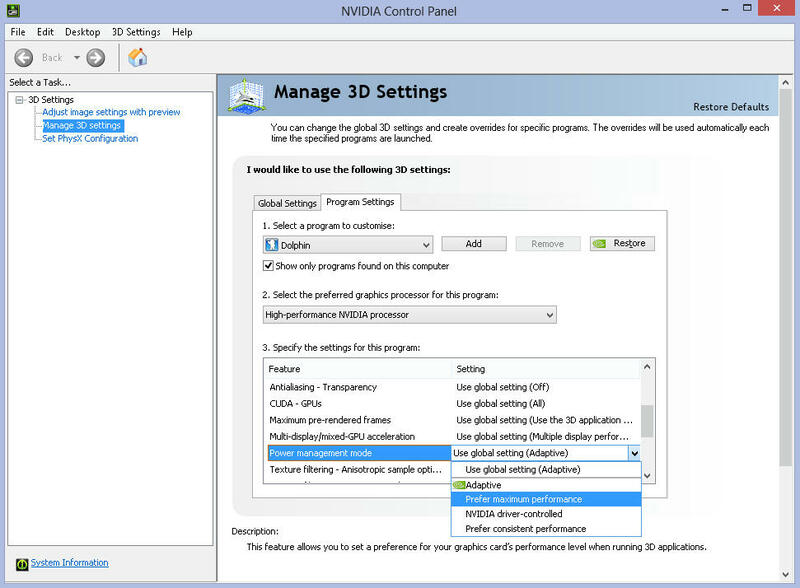 Make sure you have a high performance profile for Dolphin in the Nvidia Control Panel with the Power management set to High Performance instead of Adaptive. Alright i set my GPU to high performance and that seemed to fix the issue. How exactly do you set dolphin to have a high performance profile btw? just in case i might need to do it in the future. one last thing, will setiing them to high performance have any type of negative effect other than maybe a higher temp? such as shortening the life span of my gpu or cpu?